​​Liverpool defender Andrew Robertson has insisted that he does not fear ​Manchester City or any other opponent in their bid to win the Premier League for the first time, claiming that he always gave a 100 percent in every game. The Reds are currently placed second in the league standings behind Manchester City who are ahead on goal difference, but Liverpool have a game in hand. Tottenham Hotspur are also in the fray, although they are five points behind in the race. 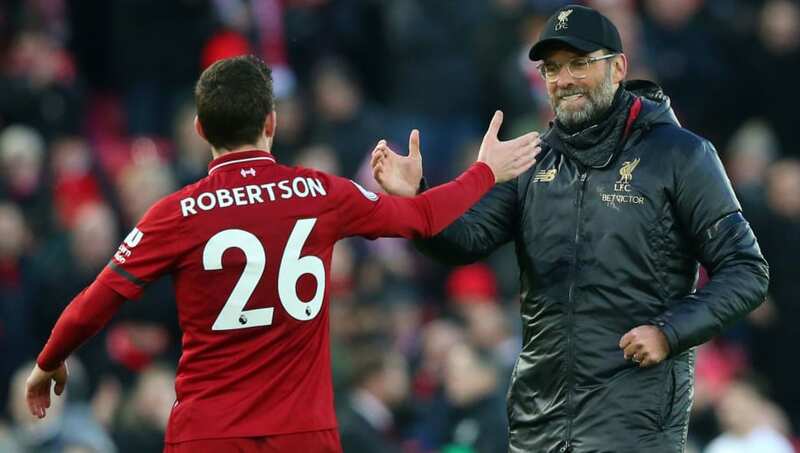 However, Robertson has said that he does not fear anything and his upbringing has ensured that it remains the case irrespective of which team he is facing. Robertson told the Mirror: “My attitude when I go onto the pitch has always been fearless. I’ve never gone into a game fearing anything or anyone. It remains to be seen if Liverpool can handle the pressure and stay on top of Manchester City once they play their game in hand, as they would have a three point lead again.